LIVING WELL takes a team in June every year to work at Wisdom Christian School. We train all of the team members before the trip. We believe that God puts together people with unique gifts, talents, and abilities. We seek to work with those gifts to honor Him and minister to the people we walk among. Most mission trips leave in the last days of May or the first of June and last about 12 days. To apply, download application form and submit to LIVING WELL. Applications for new teams members are due by February 15, 2019. WISDOM Christian School has over 420 children in grades 1-7 and kindergarten. This provides for the needs of each child for a year. It includes classroom materials, text books, teachers, facility expenses. At this time, we do not have complete sponsorship for the students of WISDOM. We provide for the essentials for the classroom until they are fully funded. We do not have enough text books for all of the children. WISDOM Christian School currently has 7 teachers for grades 1-7. Several churches have partnered with LIVING WELL to support or develop WCS. If your church is interested, please contact us. Members of Putnam City Baptist Church, contribute towards the monthly support for the school operation. Children at PCBC have donated to WCS in their AWANA program and in VBS. Pastor Bill Hulse and several members of PCBC have been on short-term mission trips to WCS. Pastor Larry Harris, his wife, and four other members of Pioneer Bible Church, were part of short-term mission teams, working at Wisdom Christian School, June 2013, 2014, and 2016. Pioneer Bible continues to support the development of Wisdom Christian School. 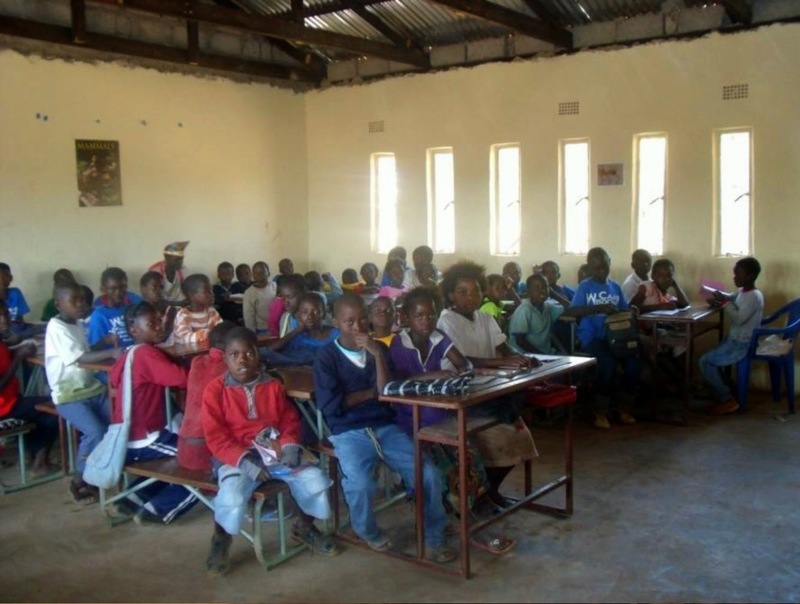 Lakeview Baptist Church funded the drilling and hand-pump for the borehole to provide clean, clear water year round to the school. See pictures of the dedication for the well and a special thanks to the people of Lakeview Baptist Church. An auditorium and chapel for students. Venue for church that currently meets in a classroom. FULLY FUNDED and UNDER CONSTRUCTION! We are currently providing one meal a week for each child. As funding increases, we will provide more lunches. Desks - we always have a need for more desks!